SAP Support is one of the major objectives, which Megatherm-SAP B1 has specialized in reaching the customer's satisfaction and expectation level. ERP implementation and its maintainability is only successful through a given support framework wherein the scalability of the product is maintained as per the changes in the governing laws and process re-engineering. Support helps organization to manage the business end to end at any point of time and manage the ongoing changes ensuring better business productivity. Megatherm-SAP B1 holds the sole responsibility of providing implementation and post implementation level support within the scope of the work which would be defined in the Functional requirement Documentation. The support would comprise of bug fixing, error handling, upgradation of the system & fine tuning. Implementation support can be onsite as well as offsite based on the nature of the challenge. Any additional user interface level development also comes with the support with added commercials which would be mutually agreed between two parties. Implementation support is subdivided into various levels based on the nature and type of problem. 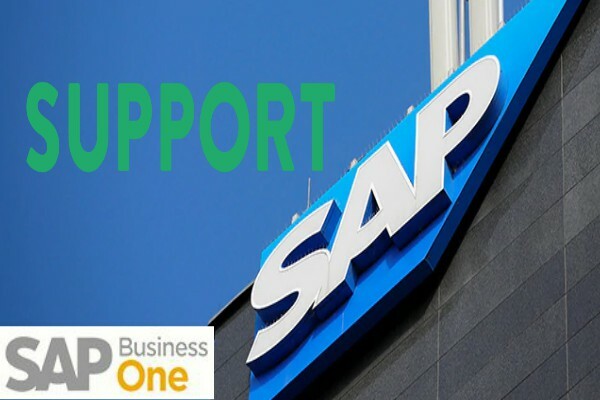 License Support - SAP Business One - ERP. License support is the support which is directly managed by SAP for which the company bears the AMC of Licenses Charges on an annual basis. In this support, the company gets the customer source for the Customer Portal wherein an organization can get all the relevant updates and patches which are updated based on the localization and process improvement of any industry vertical. Users can get available training materials and development toolkits from the portal as well as can post their queries to the forum wherein they can get responses from the experts. Remote Support Platform for SAP B1 - ERP is an automated tool that allows an end to end support of our customer base. Providing SAP B1 Support & Service in all over India & Abroad too. Providing Support & Service after Go-Live the SAP B1 Project or Hand Holding. New SAP B1 Support & Service. Use of MEGATHERM-SAP B1 ERP��s online and telephonic support within normal working hours. Online & telephonic support time is Monday - Friday at 11.00 am - 6:00 pm. on all working days. Under comprehensive maintenance for Product upgrades and maintenance, the principal company (Hear SAP India) will provide newer versions, patches and upgrades on regular intervals according to the localization changes in the Indian market. For this reason you have to be in product level AMC with SAP. If new versions, upgrades and/enhancements of SAP require more advanced or larger capacity equipment and/or third party software. Procurement of Equipment and software compatibility shall be your sole responsibility. As they become available, MEGATHERM-SAP B1 will provide updates and enhancements to the existing documentation provided by SAP. All the calls must be routed through the MEGATHERM-SAP B1��s Helpdesk.